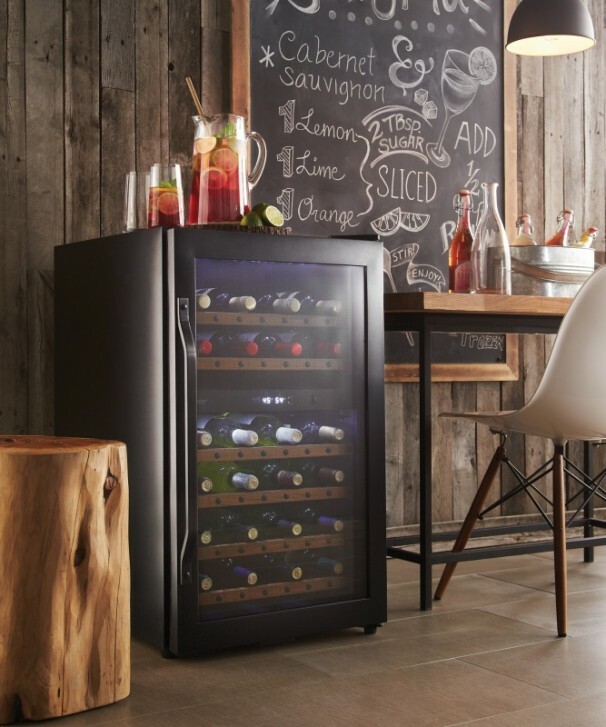 Inspired by rustic wine barrels and the ancient tradition of winemaking, this 4 cubic-foot, 38-bottle capacity Danby wine cooler is ideal for serious and casual wine aficionados alike. With a temperature range between 4°C and 18°C (39.20°F and 64.40°F), the digital thermostat is precise and easy to read with its electronic display. 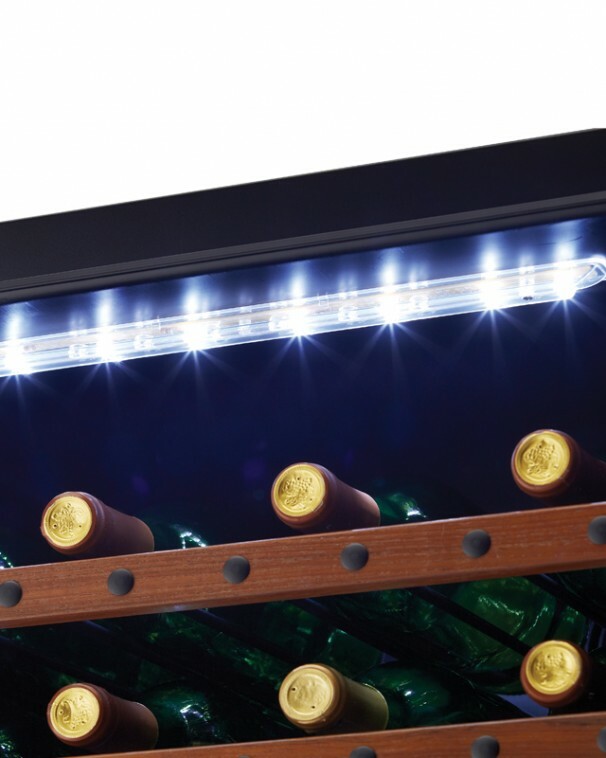 The interior white LED lighting puts your prized wines in the spotlight, and the tempered dotted glass door protects your favorite vintages from harmful UV rays. 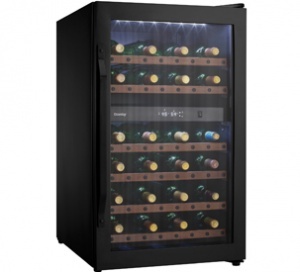 The black wire shelving with its riveted, teak wood face, cradles wine with the respect it deserves. 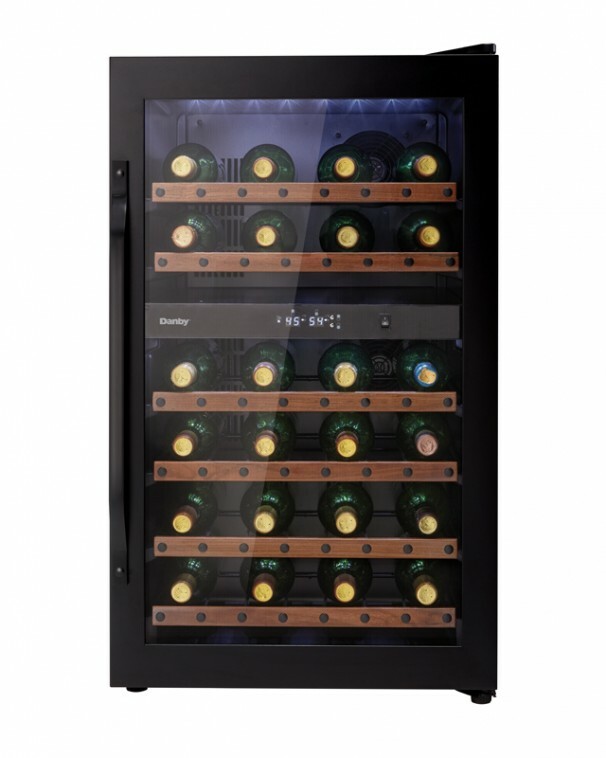 Highlighted by a dramatic black steel door frame and solid aluminum handle, the convenient reversible hinge allows you to select for either left or right-hand opening. 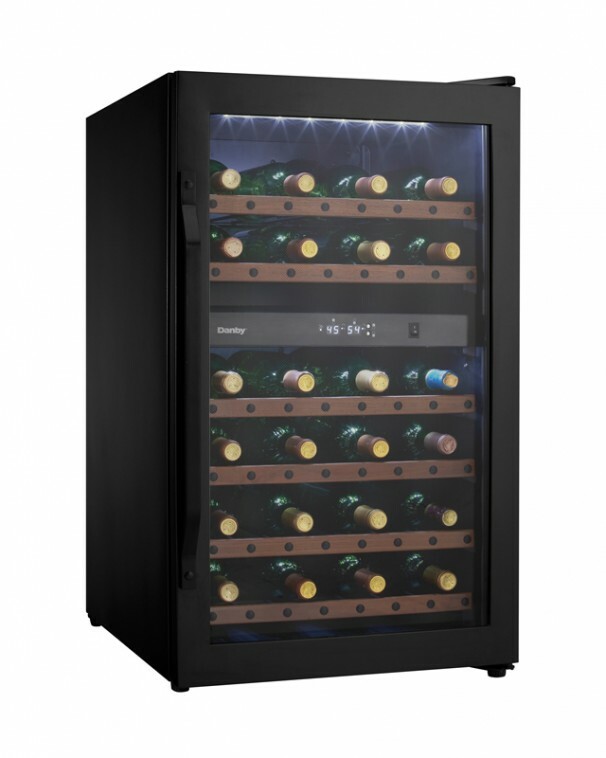 All of this is backed by Danby’s 12 month parts and labor warranty, ensuring this wine cooler will serve you for years to come!